If your house has a small patio and you think you do not have enough space to take advantage of it, we’ll show you that you can be wrong. This space of the house, however small, can be a perfect place to ventilate and clean the interior of your house and to be shared with family and friends while enjoying a sunny day. Making the most of a space with these characteristics will depend to a large extent on the capacity you have to decorate and distribute it. Nothing better to help you succeed in that task than to copy the best ones and, for that reason, we have selected in this book of ideas attractive examples of small patios that will serve as inspiration. Let’s start the journey! #6. If you have a patio in the form of an elongated hallway, give it life by placing colorful flowers. #10. Learn to compose with the plants placing them by size and species. There are many ways to use flowers and plants to decorate; In your yard, these elements can be key and serve as a thread in the design proposal, You can hang on the walls of the patio with colorful pots or plant them in the pots that you distribute on the surface of the patio. We recommend that you choose plant species that are easy to maintain and appropriate to the type of climatic conditions in the area. 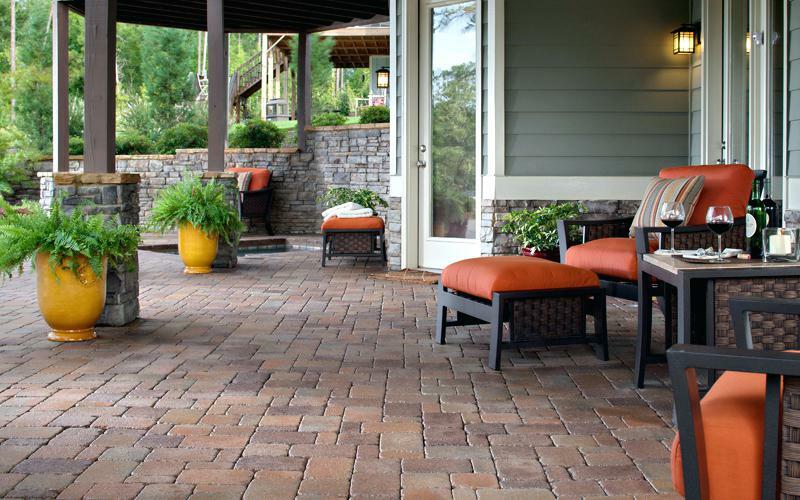 The patio of your house may be small but it always has to be particular . The best way to give the patio its own personality and style is by choosing well the pieces that we will place in it, both the furniture and the decorative accessories, taking care of the overall composition of the space. The small courtyards have to be well measured to make the most of them, that is, we can not risk anything or anything else. Distribute the furniture well and complement it with other decorative elements, playing with the perspective and the combination of materials. In the image we see how the wooden chairs combine perfectly with the chosen vegetation. The Zen gardens , typical of oriental culture, play with simple compositions full of style. 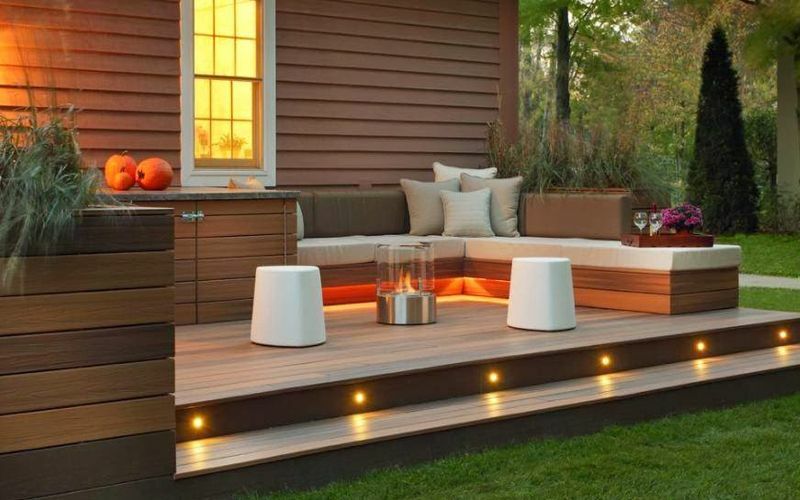 The use of elements of these gardens will allow you to give life to a small patio without overloading it, Do not forget to install lights to take advantage of it also to relax and take the cool on summer nights. When spaces are small you have to choose well the elements that you put in them to achieve a balanced environment. In these cases, a minimalist decoration is perfect. To design a minimalist garden , there are very few elements chosen for their design and aesthetics, so that they become focal points of attraction and playing with the balance of the composition. The flowers, as we said, have a huge potential when it comes to decorating any space as they allow you to play with shapes, volumes and colors. Therefore, you can model your patio incorporating floral elements, controlling the censorial experience that you have in it. In this patio, for example, colorful flowers guide the way to the back of the house, bringing freshness and dynamism. Having an outdoor space at home, even if it is small, is always going to be an area of ​​relief and a place to escape from routine. Simply dispendolo and placing a simple hammock have achieved an ideal area for relaxation. 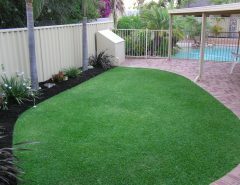 If you also incorporate plants, you will get more delicacy and charm to the place. The vertical gardens are here to stay since they are a wonderful option to have a garden in urban environments or spaces with little surface. If you have enough space to place an area next to it to sit on, you have managed to create a real garden where it seemed unimaginable. Caring for details is essential in any design proposal but even more so when we are decorating a space of small dimensions. In these places we recommend that you play subtly with materials and textures: the combination of stones, wooden pavement and plant species always helps us break the monotony and give character to the place. 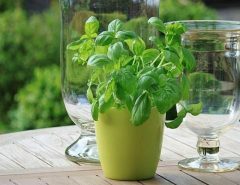 Choosing plants to decorate a house is, of course, a matter of taste (although other factors also intervene, since we are talking about living beings). Playing with several types in the patio will allow us to create interesting compositions and bring dynamism to the space. The combination of different colors is one of the elements most used by interior designers and landscapers to create optical illusions that change the perception of spaces. Therefore, we should not stop using this resource when decorating a small patio. You can choose neutral colors for the floor, for example, so that it stands out with the color of the walls, as in the patio of the image. 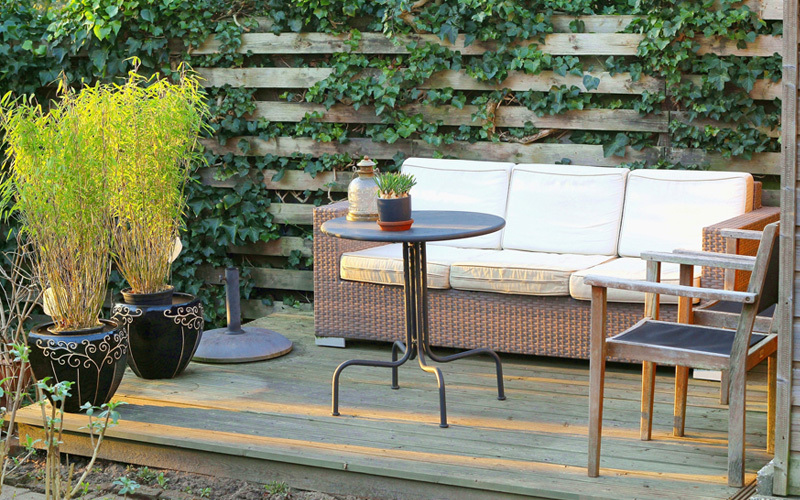 Using the elements you have to decorate your small patio in your favor is the smartest way to achieve a perfect decoration for the space in question and get a beautiful place. 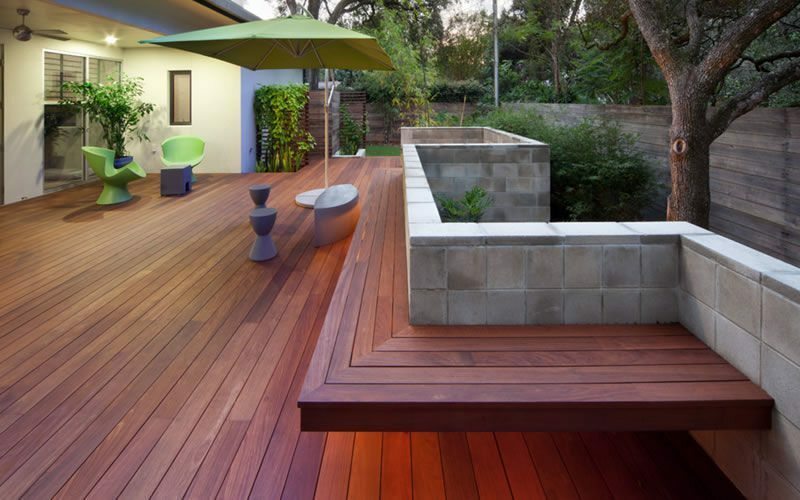 A good trick is also to use trees that provide height or upholster the walls with vines to visually extend the patio. It is always convenient to reserve a space in the patio to sit and enjoy being outdoors. Accompany it with plants and trees that, not only will bring beauty and harmony, but also serve to cast shade over the area. 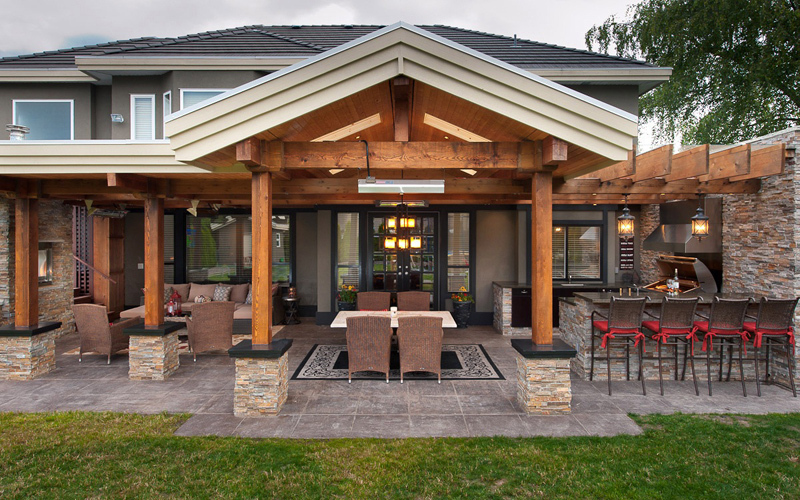 Look at this example, with what few elements is it possible to create a pleasant and functional patio, is not it ideal to share it with friends or with the family? The arrangement of several light chairs already invite us to rest and enjoy the sun. The beautiful plants bring personality and freshness, making this small space something unique. 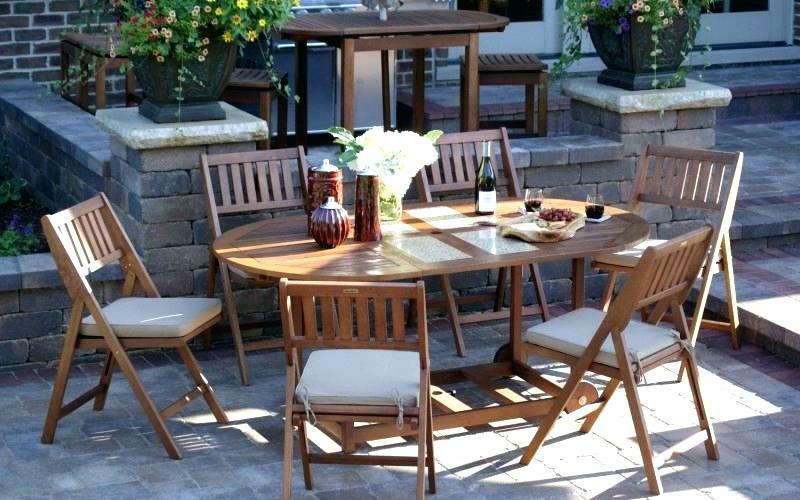 Creativity is the key element to give your little patio a life of its own. You only need the desire to decorate this valuable space in your home, without having to make a large financial investment. 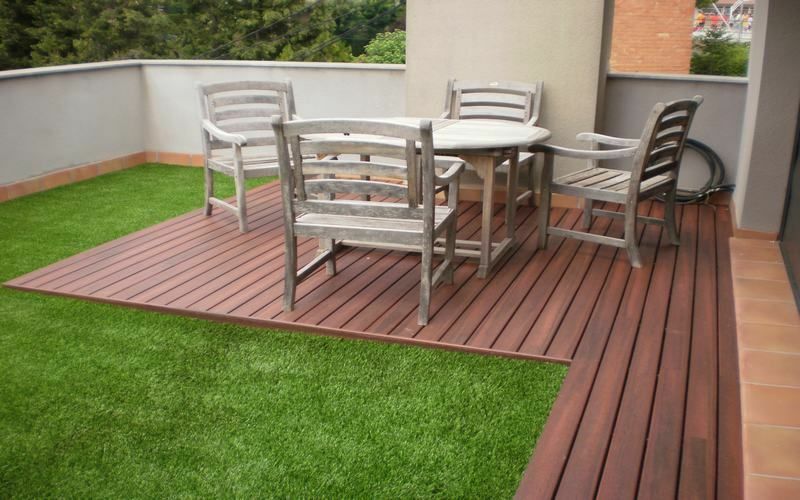 Moreover, you can use old furniture and use them to plant plants in it, achieving an original and most ecological patio. Finally, if there is a theme that our readers like very much, it is everything that has to do with the decoration of gardens . At the same time, one of the most searched topics in our blog is everything that refers to the decoration of small spaces . 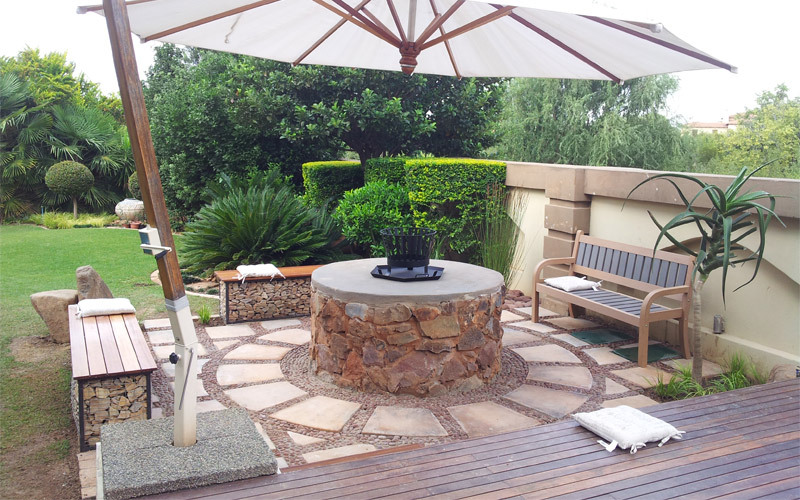 That is why this time we want to offer you these ideas for small patios . Unfortunately not everyone is lucky enough to have an outdoor space at home. As you may have noticed, we love wood. Therefore, we always recommend, as far as possible, incorporate wood in the exterior decoration , either to cover the walls or floors, or in the use of furniture. With this material we will make the environment much warmer. 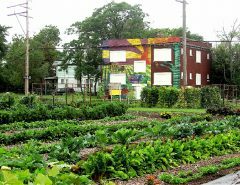 In addition, if we combine it with the strategic placement of leafy and green plants, we will be very close to creating a true paradise.